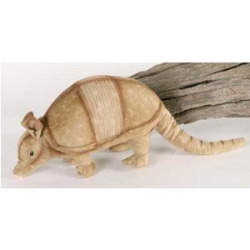 This Armadillo is so awesome and fun to play with! Made by Fiesta Toy. A really wonderfully made toy that is detailed and looks like famous desert creature! A great toy for any fan of desert animals to enjoy! Contains small parts, not for children under 3 years of age.